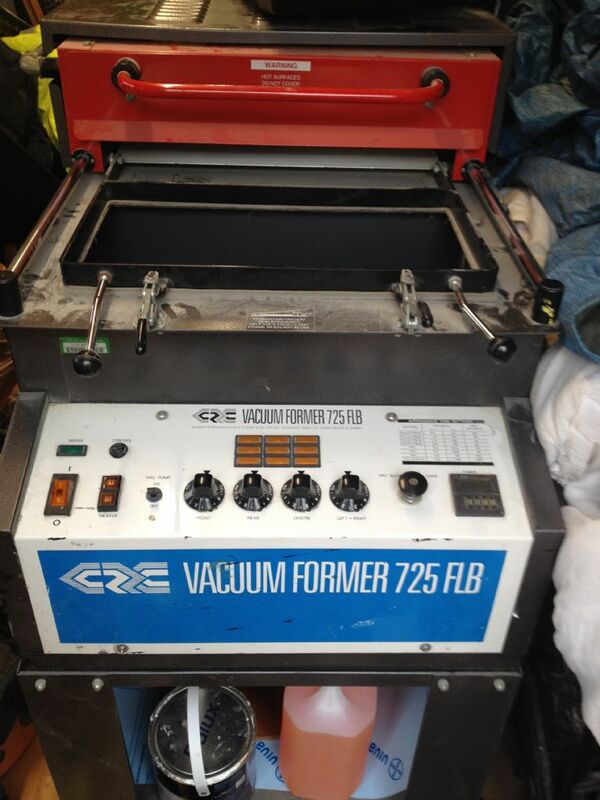 .......a vacuum molding machine. The very samne one that produced my A4 canopy. Now all I need to do is learn how to use it !!! Oooooh think about your leccy bill. Still, you can always take lots of orders for canopies and cowlings,(make your own plugs) and offset your leccy bill that way,hee,hee,hee!! lol I know i 'may' become more popular at my club now. Should not be too bad on leccy though, as most canopy's should be ready in less than 2 mins. Brilliant Mr F, but Don't Store Fuel under there, as it gets very hot, it will expand the fuel, and it could explode. 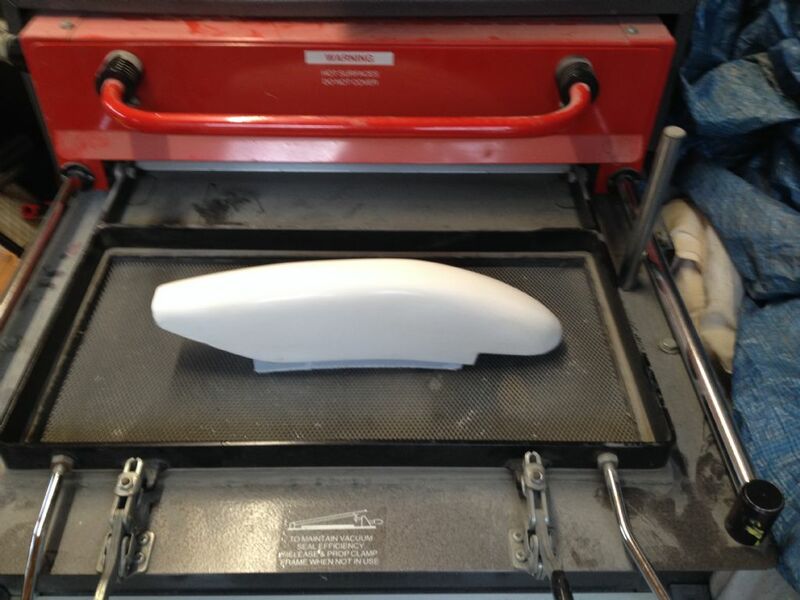 You can get vacuum forming plastic in varying thicknesses and colours, dependent of the depth of the former. Well spotted Denis, although the fuel is not stored there but a valid point nonetheless; I need to make space in my shed now to allow it to be easily accessible. I've also discovered that the company that made it are still trading, and I should be able to get an instruction manual etc for it. They provide an adaptor that will allow the use of smaller sheets. Although the A4 canopy used most of it, and it will satisfactorily do a depth of plug up to 14cm. Just need to make myself a few plugs now. There is also a timer that helps when warming the plastic, and has a handy table on the front noting the different times per thickness. I guess the machine you have is ex school or college. If it is I would check the condition of the seals. There are two, a thicker slightly softer one that fits around the edge of the table and another that is quite obvious on the top of the machine on which the plastic is placed and the frame brought down and locked onto it. Unfortunately people often leave the table up and the frame locked down which shortens the life of the seals. Poor seals = poor vac forming. Good seals = excellent vac forming. I think this machine also had an air filter inside the cabinet, rarely changed but a poor vacuum points toward a blocked filter. BTW K&M supplies who are an educational supplier sell plastic sheet already cut to size for the machine. They are Halfway near Sheffield.